Prague is love at the first sight! When you arrive you feel there is something special and unique in the city. We felt like this on our first trip to Prague, but took us a second visit to see beyond Prague top attractions. And that’s why took us so long to write about the Czech Republic capital. We want to share travel tips to the best of the city and also the unique and cool things to do in Prague. Attractions, places, and experiences that you can’t find anywhere else. 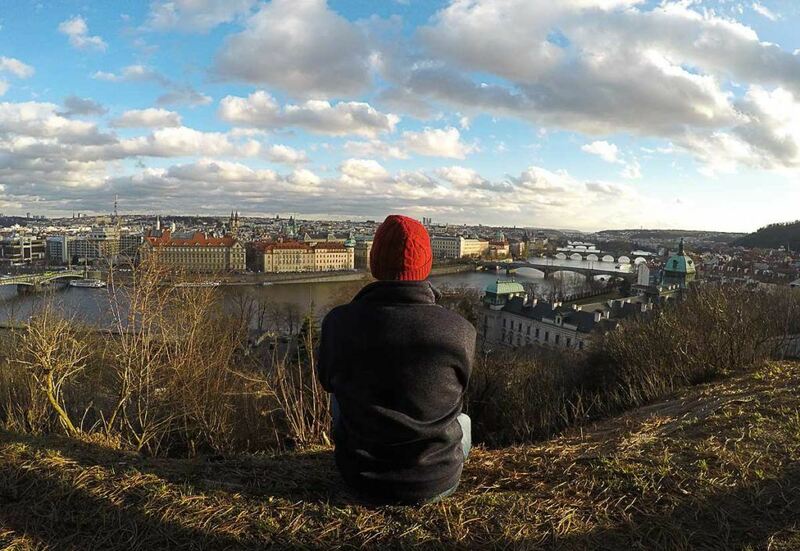 We listed 18 cool things to do in Prague, tourist attractions, and some hidden gems. Unique places to see in Prague and local experiences. My first advice is to take with you comfortable walking shoes and be ready to discover Prague from the busy touristic streets to unknown neighborhoods. Before we start talking about what to do in Prague, top attractions and itinerary, let me help you to choose your accommodation. It’s not easy to find the best place to stay in Prague, best area or the best hotel. The city is packed with properties for all tastes, budgets, and locations. As we traveled to Prague to discover unique things to do and different experiences, our hotel couldn’t be an ordinary one. We chose to stay at Miss Sophie’s Boutique Hotel & Hostel and loved everything about it. Miss Sophie’s combines a great location, cool design, lovely staff and a delicious brunch. The best part is that the hotel is a small property, so you get that intimate feeling, super charming and cozy. Or maybe the best part is that our readers can get 5% discount on their stay using our promocode LOVE. 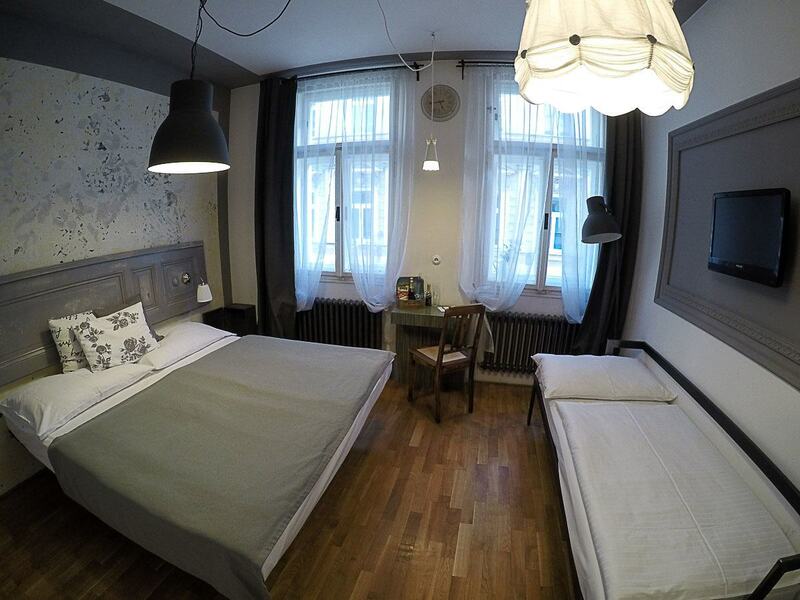 Miss Sophie’s is located in one of the best areas to stay in Prague, at New Town or Prague 2. It’s close to almost all the top attractions, easy to get around by foot or by tram. And it’s not as touristic as the old town or the castle area. We spent our 4 nights in a Double Deluxe room and it was hard to leave it. If you are traveling to Prague on a budget, check out their dorms, you get the same service in a shared room. They pay attention to all the details, from the décor to the welcoming message. Not to mention the breakfast, a feast you can’t miss. Miss Sophie’s Brunch is famous among travelers and locals. Eggs, bacon and the pancakes freshly cooked for you. I’m already drooling just to think about it. Start your list of cool things to do in Prague by choosing a unique hotel, book your room at Miss Sophie’s here and don’t forget to use the promo code LOVE to get 5% off!! If you are not sure about where to stay in Prague, keep searching on Agoda or Booking.com. Keep in mind that the hotels close to the Old Town or to the Prague Castle are more expensive. As far as you go from city center cheaper it gets, but you need to think about transportation costs. For a local feeling you can search a places to stay at Karlín, this is a trendy neighborhood full of cafes and local restaurants. If you are traveling with family or group of friends you can book an Airbnb apartment in Karlín and have a different experience in Prague. Join Airbnb here and get up to 35 USD in credits for your first booking. Hotel Perla, a 4 star hotel with rates starting at USD 104 per night. GOLF Hotel, a 3 star hotel located between the airport and city centre. Rooms from USD 60 per night. Hotel Kings Court, 5 star hotel with excellent reviews and very well located. Rooms from USD 160 per night. Lokal Inn, a 4 star hotel located near the Charles Bridge. Rooms from USD 120 per night. I can’t tell you to enjoy the local and unusual things to do in Prague without guiding you to city’s top attractions. 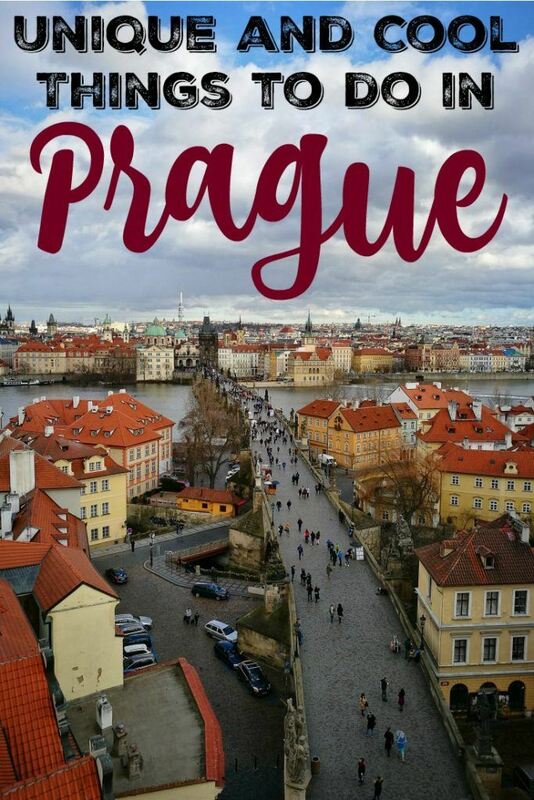 Here you will find a list of top places to visit in Prague, tourist attractions that you must see or visit, especially if it’s your first time there. Prague is one of the most touristy cities in Europe, so prepare yourself for queues and an ocean of people walking around Prague Old Town. To save time and money, buy the Prague Card in advance, you can buy it online and collect the card at the airport or at the city center. You can choose the card according to the days you want to use it, from 2 up to 4 days pass. 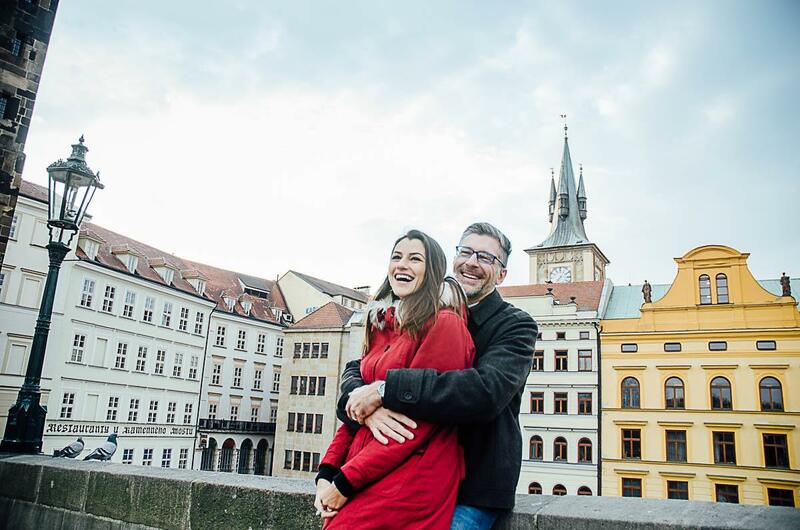 The Prague Card is a wise choice because it gives you free access to 50 attractions in Prague, including the Castle, the Old Town Hall and many more. Plus free access to the public transportation and free shuttle bus from Prague Airport to city center. 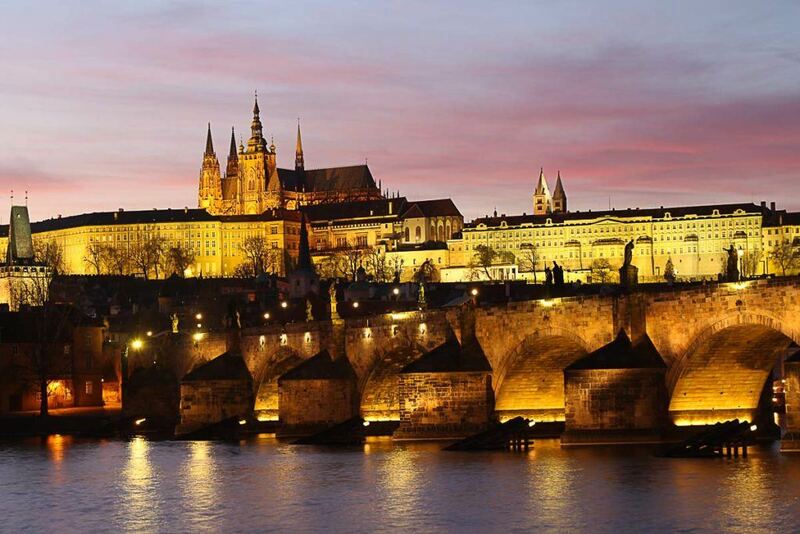 With your Prague Card in hands, it’s time to follow our tips on what to do and see in Prague. This is the most iconic tourist attraction in Prague. The Charles Bridge was built during the 14th and 15th century and it’s gorgeous. While crossing the bridge pay attention to the sculptures, to the beautiful Vltava River and climb one of the towers, the view from the top is to die for. My personal recommendation is to visit the Charles Bridge early in the morning. 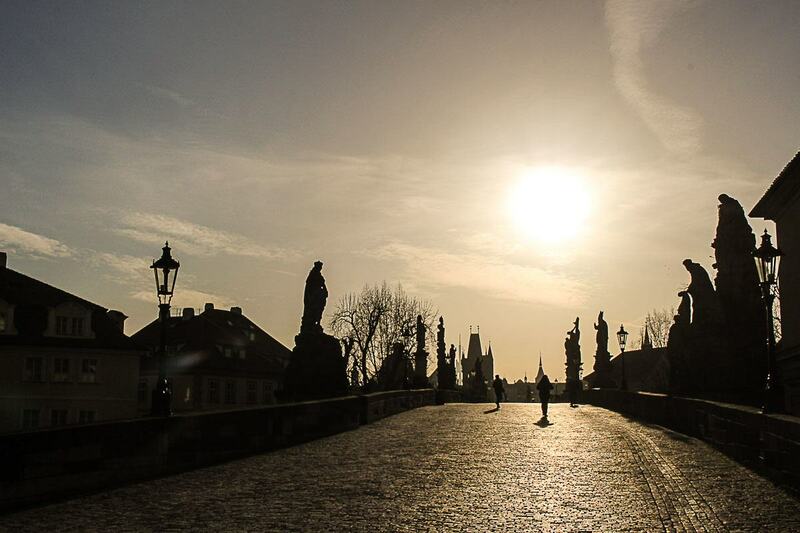 During sunrise, the old town looks even more beautiful and you will be able to enjoy the bridge without tourist, only a few photographers that know this is the right time to visit Prague top attraction. Prague Castle is actually a complex of attractions and places to visit. You can easily spend half day there. The magnificent St. Vitus Cathedral, the Old Royal Palace, the St. George’s Basilica, the busy Golden Lane and the Daliborka Tower are just a few of Prague tourist attractions located inside the castle or around. Another good thing about the Prague Card is that with the card you receive a mini-guide to Prague attractions with opening hours, address, and information that will help to get around and understand the history behind those stunning places. The walk from old town to the castle is also a nice thing to do in Prague, the Malá Strana neighborhood is full of medieval buildings, restaurants and historical places. Still on the side of Prague Castle, there is a beautiful monastery at the top of the hill. With an even more beautiful library inside. There you can admire the architecture of the building, walk around the gardens or have a meal with a view. Although the Strahov Monastery and Library is one of the top things to see in Prague, it’s not so busy and full of tourist as the other main attractions. 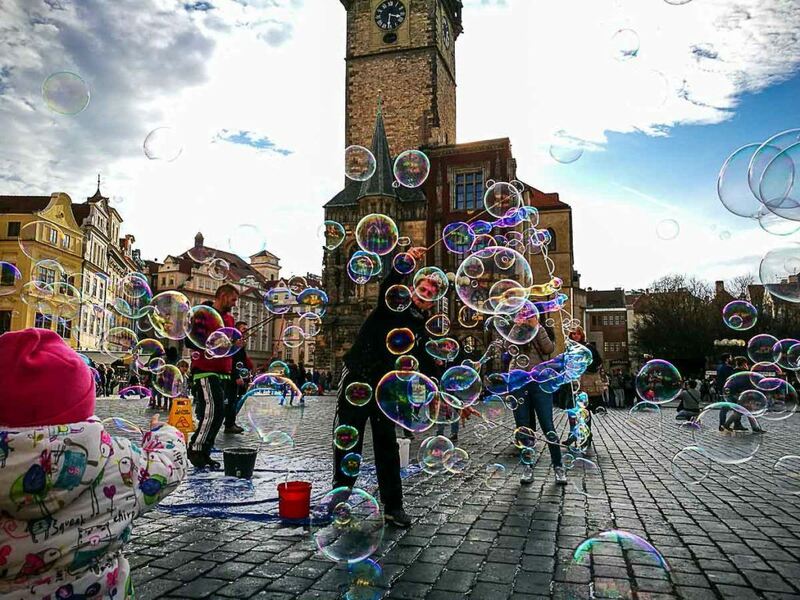 There are so many things to do in Prague Old Town that you can spend the whole day there. Get your map ready and choose the place you want to visit, because if you start wandering around you will spend hours and get lost among so many medieval buildings and cobblestone streets. 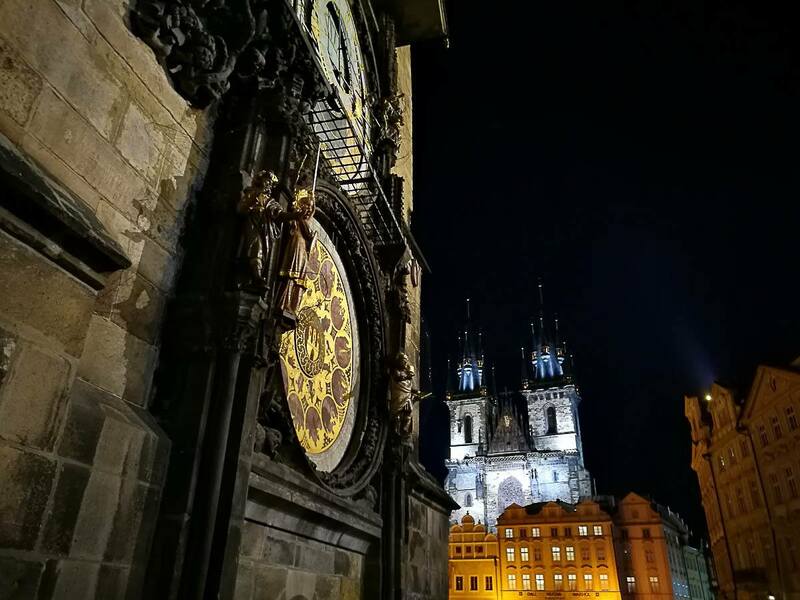 The most visited places in Prague’s Old Town are the Old Town Hall and the Astronomical Clock, the Klementinum, the Church of Our Lady before Tyn, the Spanish Synagogue and the Old Jewish Cemetery. Those are just a few places to visit, the old town has many more attractions, cafes, and restaurants to enjoy. At the Old Town Hall Square take the time to drink a beer and eat some of the local snacks like the sweet Trdelník, the pork knuckle or barbecued ham. The building of the National Theater is an attraction itself, but you can take your Prague experience to a more cultural level by joining one of the concerts or performances. Check the National Theater website and book your tickets in advance, there events happening daily. Prague is world famous for the stunning architecture, everywhere you look there is an old and well-kept building, palaces, theaters, and towers. Visit the Dancing House is one the cool things to in Prague because it’s a modern and unusual look in the middle of the classical city. The Petrin Tower looks like a mini Eiffel Tower, but despite its petite size, the views from the top are impressive. Don’t worry, you won’t need to walk up there, there is a funicular that takes you to the top of the hill. This is one of the fun things to do in Prague, it’s full of tourists but it has a super laid back and artistic vibe. Many people believe the wall is only a memorial to John Lennon. 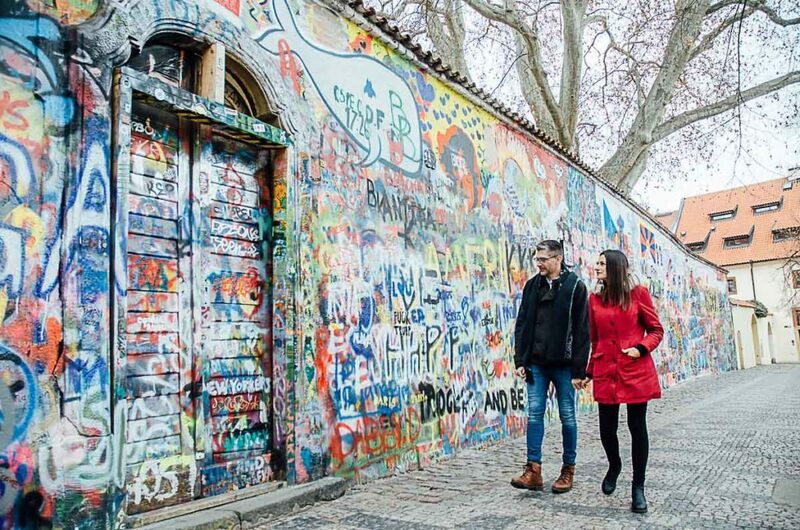 But actually, the history tells that the graffiti and the poems are symbols of the pacific war against the communist regime that ruled the Czech Republic for so many years. The Museum is named after one of the greatest writers of the 20th century. Franz Kafka is from Prague and you can learn more about his life and his work while visiting the city. 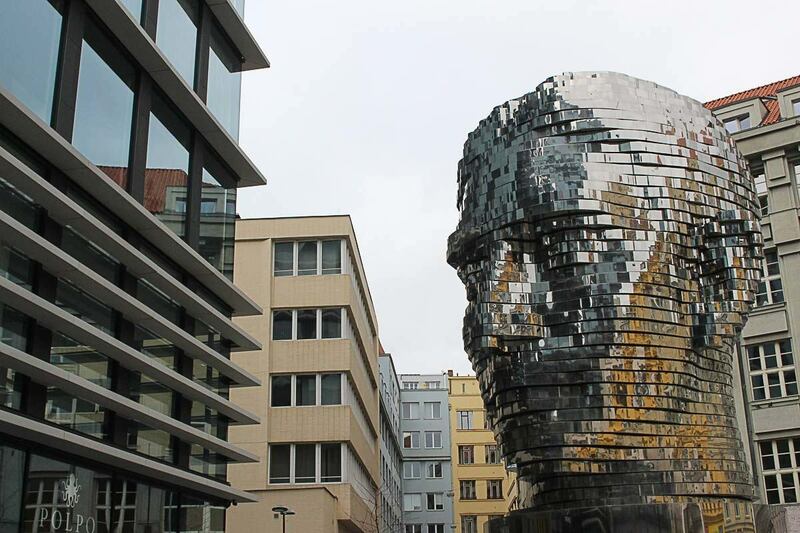 There are two cool things to in Prague that are related to Kafka, the museum of the writer and a giant statue of his head. At Kafka Museum you can discover more about him and his work, but at the giant head statue you can feel the impact of his thoughts and writing. The enigmatic movement of that silver shining head is as hypnotic as his work. 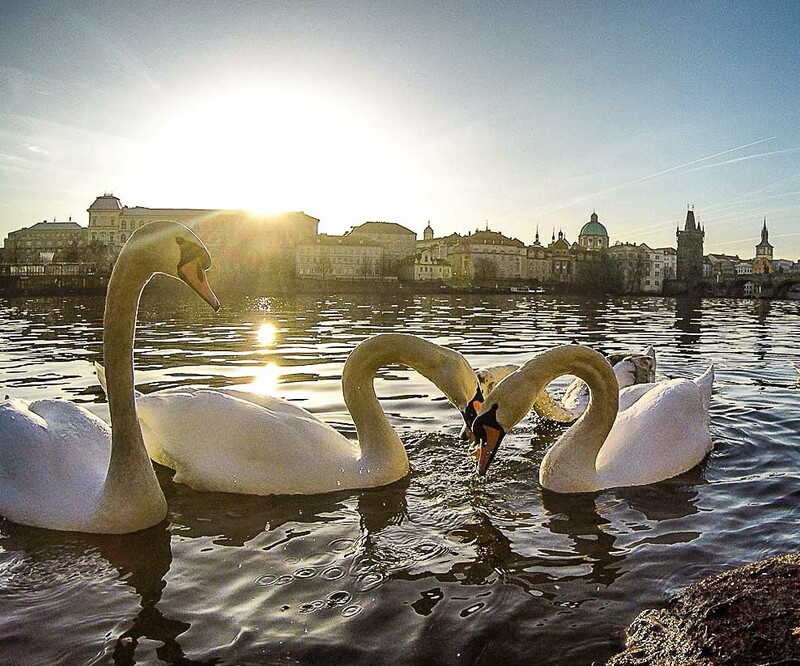 One of the cool things to do in Prague is to admire the swans that live by the Vltava River, close to Charles Bridge on the Malá Strana side. Early morning and at the end of the day they come really close to the shore posing for that perfect Instagram shot. Those are some of the tops attractions in Prague, things to do that you can’t miss when traveling to Czech Republic capital. Now it’s time to share our personal recommendations, cool things to do Prague that are unique, local and you can’t find in any travel guides. There are so many places to visit in Prague that I have the feeling I need to travel there at least two more times. While our first trip to Prague was all about famous attractions, the castle and the old town, our second visit was very different. We managed to explore other neighborhoods, and even experience traditional drinks and food in a unique and local way. When you think about the Czech Republic you think about beer. And there is no better place to taste local beer and feel the social importance of this fermented drink than Prague. You can taste Czech beer anywhere in town, but we want to do it in a proper way, with a local friend, in a local bar and learn about this ancient tradition. 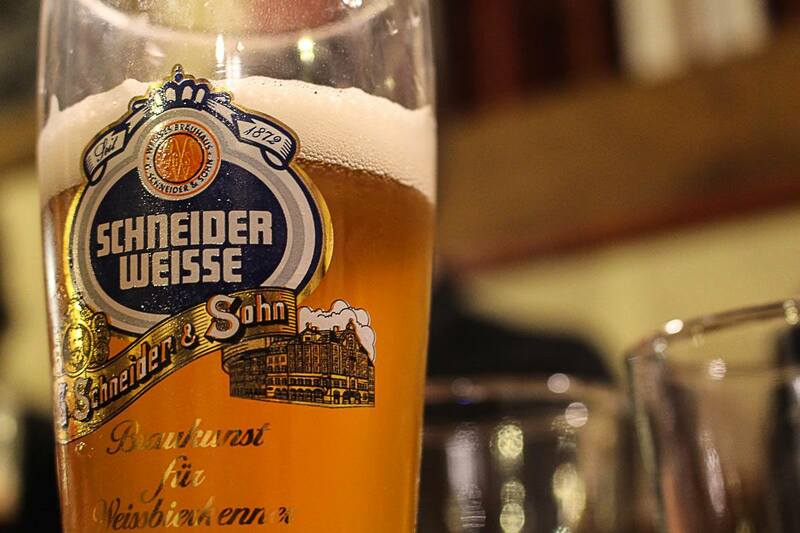 So our first tip to cool things to do in Prague is: book a beer tour but not a touristic one. We met our beer guide at the Wenceslas Square and from there we started the Prague Beer and Czech Tapas Tour with Urban Adventures. First thing was to jump on a metro and go far away from the tourist center of Prague and that was what I was hoping for, go to local bars. In total we visited 3 bars and one local brewery. In each place we had two glass of local beer included in the tour, most of them produced in Prague or around the city. Before we choose our drink we had an explanation about the type of the beers, the taste, color, how it was produced and with what type of food it should be paired. Talking about food, in every bar we tried some traditional food, from dumplings with pork to fermented cheese and sweet donuts. Yummy food that kept us away from getting drunk fast. The beers were delicious and strong. After the second bar we could feel the difference, walking under the rain was becoming easier and funnier. What I loved in the tour was the possibility to taste different beers and experience local Prague. Most of the bars didn’t have an English menu and the crowd was mainly Czechs enjoying their happy hour. The brewery and 2 bars were very local and far from the old town. But our last stop needed to be in a famous place, the home of Pilsner Urquell, one of the most famous beer from the Czech Republic. The U Pinkasů Bar is one of Prague top attraction and you can visit the bar any time during your stay. But one of the cool things to do in Prague is visit the bar with a local guide. While you taste the iconic Pilsner Urquell you learn about the history of the beer and about the bar. Not to mention the fried camembert and the sweet donuts we ate there. Delicious! The tour lasted for almost 4 hours, the food and the 2 beers per bar were included in the price. If you want to drink more, just order and pay for it. I suggest you book the Prague Beer and Czech Tapas Tour in advance. You might not travel for shopping, but one of the cool things to do in Prague is to discover the local designers and galleries. As a journalist and blogger, I love all the stationary stuff. Pens, notebooks, and accessories that make handwriting worth even in the 21ts century. If you are like me, you must visit Papelote, a Czech stationery brand that brings paper alive using environmentally friendly materials and great design. 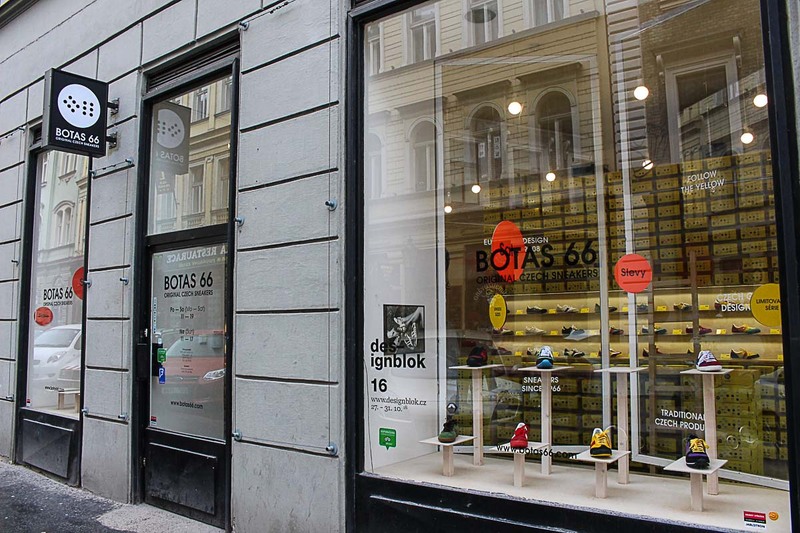 Shoe lovers must visit Botas 66! If you didn’t bring your comfortable walking shoes, a retail therapy in their shop might be one of the coolest things to in Prague before exploring other attractions. Since 1966 the company creates sports shoes that align comfort and design, all produced in the Czech Republic. For more local design stop by The Czech Design Gallery, there you can buy items for your house or for your wardrobe. 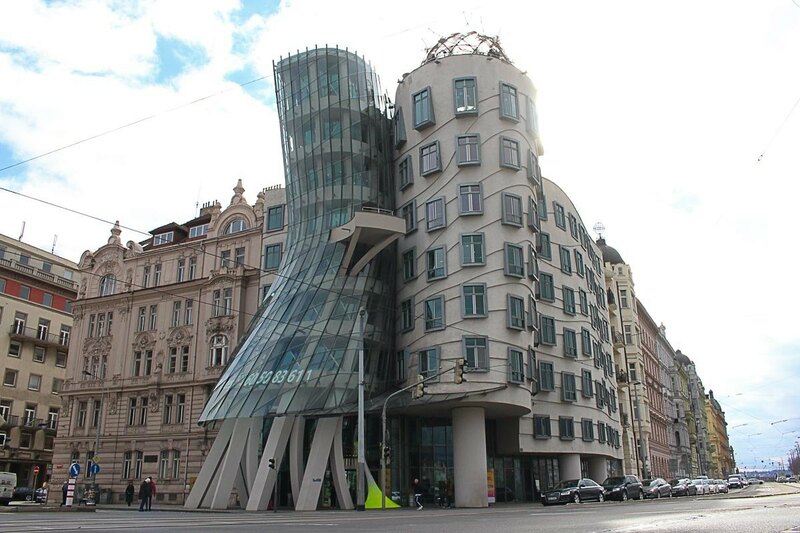 On the Art & Architecture side our recommendation of what to do in Prague is to visit the Jaroslav Fragner Gallery. This is one of the few attractions in Prague focused on architecture and they have different exhibitions every now and then. 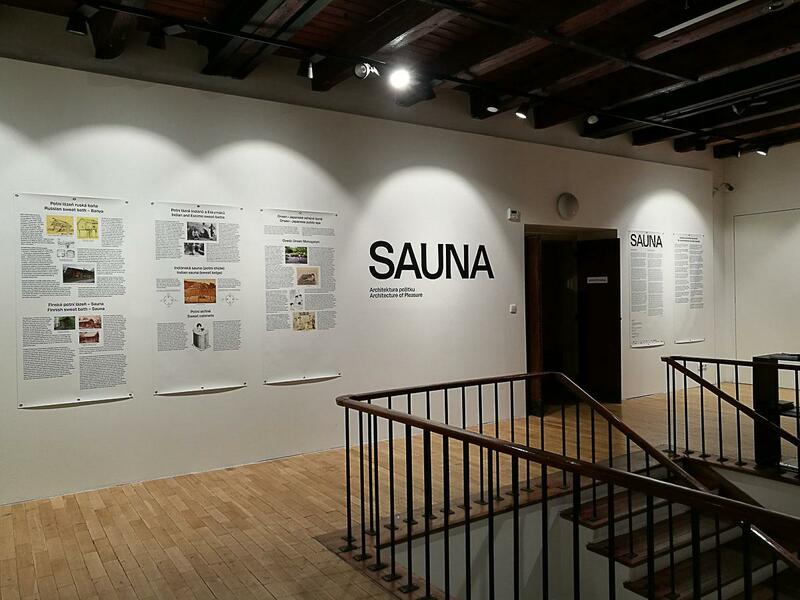 During our visit the exhibition was about saunas around the world, a hot theme for the freezing winter in Prague. Talking about galleries and museums, there is a dozen of them spread all over Prague. From Renaissance buildings with classical exposition to technical stuff. If you like modern art one of the cool things to do in Prague is to explore the DOX – Center of Contemporary Art and Vnitroblock located at Prague 7 area. Visit the Žižkov TV Tower is definitely one of the unusual and cool things to do in Prague. 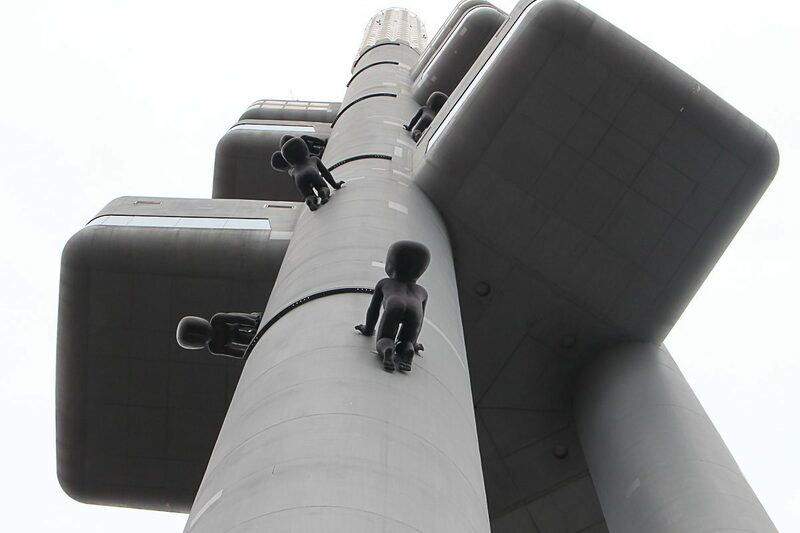 Every city has a tv tower, but only in Prague you have giant babies crawling up the tower. It’s so weird and so cool! The tower is 216-meter height, the tallest building in the city and offers a 360º view of Prague. The ultra modern tower was built in the 80’s and has a restaurant, an observation deck, and even hotel rooms. Located in the Žižkov, a very local neighborhood, the tower receives mixed reviews, some people love it others hate it. So it’s definitely one of the unique places to visit in Prague that you can’t miss. There is the famous Farmer’s Market Náplavka by the Vltava River, but we were in search of a real local experience. We venture ourselves at the Vinohrady & Žižkov looking for another Farmer’s Market and we found it. One of the cool things do in Prague is to visit the Farmer’s Market Jiřího z Poděbrad and try local snacks, drinks, and fruits. It’s open Wednesday, Thursday, and Fridays during the day and on Saturdays from 8 AM to 2 PM. The Farmer’s Market Náplavka by the Vltava River is worth to visit too, especially during summer time! Letná Park is one of the top attractions in Prague, but not many tourists go there. You can easily go to the park with public transportation or by foot. Letná Park is the perfect place for walking, cycling and enjoy the nature. Even if you are not an outdoorsy person, it’s worth to visit Letná Park for its views. From the top of the park you can see the Vltava River and the bridges connecting the city. Our suggestion of unique things to do in Prague is to visit the Letná Park early in morning or at the end of the day, it’s the perfect spot for sunrise and sunset photography. For all the sugar addicted out there, our list of cool things to do in Prague has a special attraction for you. 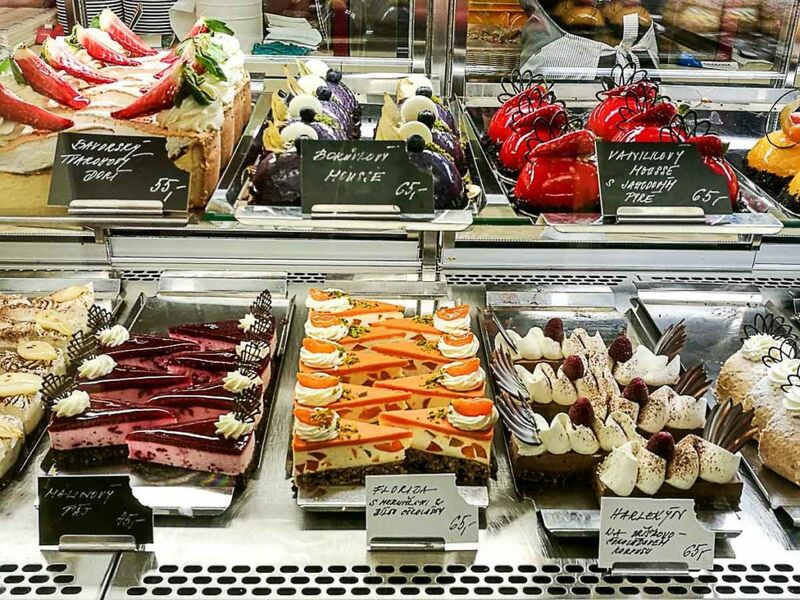 If you want to try a cake, a dessert or a homemade biscuit do it in one of the best bakeries in Prague. Tucked away from the touristic streets, the Erhartova Curkrárna is worth the tram ride to Radhošťská station in Vinohrady area. The cakes are so beautiful that is hard to choose one, I truly want to eat them all. And they are not only pretty, they are delicious too! We spent a few hours there, trying cakes, biscuits and little sweets that our way back to the hotel was by foot, trying to burn some of the sugar we have eaten. Czech food is famous for the dumplings, the pork, and sausages. If you are not a big fan of this type of cuisine or if you have had too much cake, let’s try something different in Prague. I love vegetarian food, the mix of flavors, textures and the healthy recipes that you can eat without feeling guilty. I was surprised to discover that Prague is a great city for vegetarian and vegan travelers, so we decided to try it. Even Rob, a confessed meat lover, decided to join my vegetarian adventure and we eat so, so well! We had lunch Radost FX and love it. We also tried the MamaCoffee at Karlín, not an exclusively vegetarian restaurant but they do have great vegetarian meals and the organic coffee is delicious. 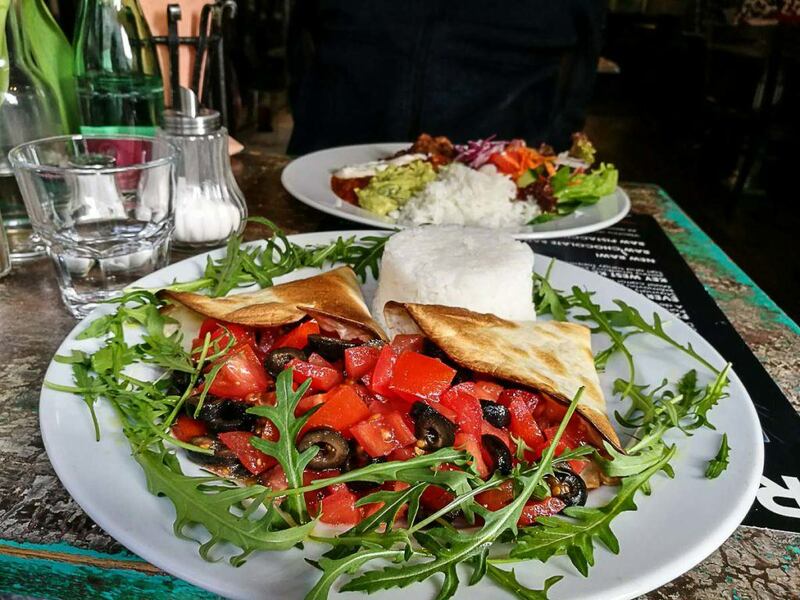 For more food inspiration check this awesome Guide to Vegan & Vegetarian Restaurants in Prague. I’m sure you gonna have tons of photos in Prague, all the attractions and things to do will end up in nice snaps to share with your family and friends. But what about doing a professional photoshoot in the stunning streets of Prague? Freeze your best moments with Localgrapher, a group of photographer spread all over the world and ready to take the most beautiful shots from your trip. And it’s also one of the local things to do in Prague, as the founder of Localgrapher lives there. Matej was our photographer and we had so much fun with him. He knew how to make us feel comfortable in the middle of Charles Bridge and Prague Castle. The perfect scenery for our romantic photoshoot. No doubt it was one of the coolest things to do in Prague and the photos were stunning. You can travel to Prague by plane, bus or train from any capital in Europe. To search for the best flights to Prague use Skyscanner or Kiwi.com. If you decide to travel by bus there are several bus companies you can use depending on where you are coming from. To plan your travel itinerary to the Czech Republic use the website Rome2Rio, it gives you an idea of all the transportation modes and duration of the trips. We traveled to Prague by train. Our 14 days trip in the Czech Republic started in Brno and finished in Prague. A big journey through cities, countryside, mountains and stunning places. The Czech Republic was part of our 3 months trip in Europe, and we did it all by train. It was our second time traveling in Europe with Eurail Pass, only one pass that you can use up to 3 months. We wrote a super guide to travel with Eurail Pass, how to choose the best pass, how to avoid booking fees and how to enjoy the train rides. There you will find all the information you need to plan your train trip in the Czech Republic or in Europe. We also have one blog post about traveling with Eurail in Scandinavia, as Norway, Sweden, Denmark, and Finland have different rules. PS: our trip in the Czech Republic was organized in partnership with Czech Tourism Board. But as usual, you always get our honest opinion and travel tips. Man, I am ever going to be in for a treat by visiting Prague … can’t wait to arrive now! Hi Victor, Prague is a wonderful city! Might I know where is the location of your first picture? The one with some words “Vyhlid … presso” as background. I have been looking for it but no idea. Thanks a lot.